If you thought this year's Android flagship phones were fast, wait until next year. 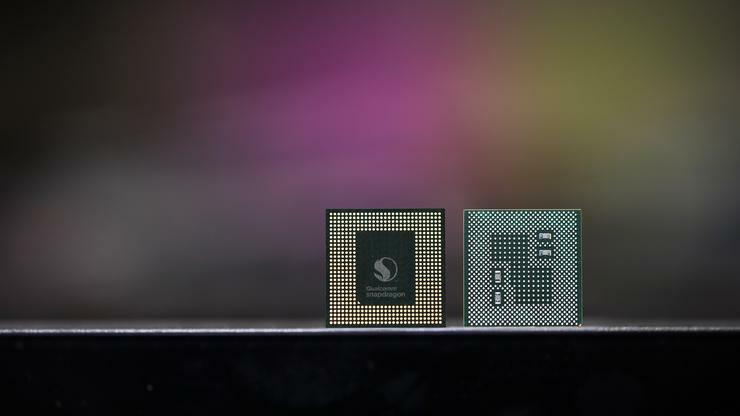 Qualcomm has unveiled its next-generation chip, the Snapdragon 845, and it's more than just the next number in the evolution: It's a ground-up redesign of the platform's architecture. And it's sure to have a profound affect on next year's crop of premium Android handsets. The architecture of the Snapdragon 845 is the same 10nm oct-core processor as the 835, so it's unlikely that the Galaxy S9 or LG V40 will bring much of a performance boost over the S8 and V30. Qualcomm says the 845 chip will bring 30 percent faster graphics than the 835, an impressive technical increase over an already powerful chip, but one that's not likely to be all that noticeable in real-world use. The real speed boost will come from the modem. The 845 uses the second-generation X20 Gigabit LTE modem, which supports for 1.2Gbps Gigabit LTE Category 18 as well as multigigabit 802.11ad Wi-Fi for even faster downloads. Of course, your mileage will vary depending on the network, but Qualcomm says the new modem will allow users to download a 3GB movie in less than three minutes over LTE. The 835 brought serious gains in battery life, with many phones using the chip easily making it through a full day of regular use. Qualcomm says the 845 will be 30 percent more power-efficient than the 835, which could push phones into a second day without needing to be charged. Qualcomm has focused on optimizing the chip's cores with the 845, so the processor will be able to delineate tasks intelligently based on power needs. As a result, video recording will utilize 30 percent less power. Thanks to the new Adreno Foveation system, which uses eye-tracking to determine which areas of the screen to fully render, graphics-intensive games and apps won't harpoon your battery life, either. Last month, Huawei released the Mate 10 with a dedicated Neural Processing Unit, and the Snapdragon 845 isn't about to be outsmarted. The third generation of the neural processing engine will fully unleash Android phones' machine learning and AI capabilities. 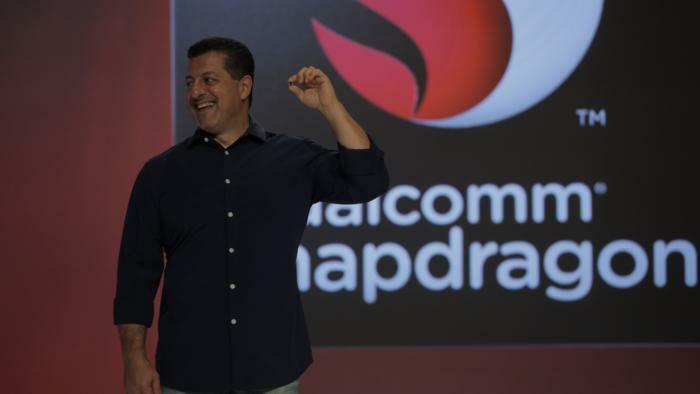 Qualcomm says the Snapdragon 845 will support AI frameworks such as Google's TensorFlowLite and FaceBook's Caffe2, as well as being optimized for newer networks. Using a new Hexagon Digital Signal Processor, the chip will be three times faster with AI performance, meaning phones will be more efficient and use less power for common and repetitive tasks. It'll also use a low-power audio subsystem for digital assistants, so talking to your phone all day won't kill your battery. The cameras on our smartphones only do part of the work when it comes to taking pictures. Much of the heavy lifting is handled by image signal processors. Qualcomm's Spectra 280 ISP has been greatly improved in the Snapdragon 845. Instead of enhancing the resolution, which has pretty much been maxed out on smartphones, the new chip focuses on color volume, meaning photos will be richer, deeper, and more accurate than before. The new chip will be able to take better photos in low light, thanks to multi-frame noise reduction, faster auto-focus, and accelerated image stabilization. The ISP will also enable better portraits with depth-based face recognition. On the video side, the chip will enable ultra HD premium video capture for 4K 60-fps video, as well as 720p 480-fps slow-motion video capture. Like Apple's Secure Enclave, Qualcomm is introducing a Secure Processing Unit on the Snapdragon 845 that will keep your data from falling into the wrong hands. With its own dedicated processor, the SPU will set up a "secure island" to protect fingerprint, iris, and face biometric scans. The secure chip will also store payment information and SIM card data for ultimate peace of mind.